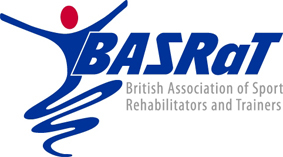 UK BASRaT students that have successfully completed the appropriate modules within the BASRaT BSc programme in Sports & Exercise Medicine (or hold a suitable alternative Sports Massage Qualification) may apply for this Professional Liability Insurance offered at discounted rates for BASRaT members. The annual charges include Insurance Premium Tax (IPT) and Broker Administration Fees, details of which are available on request. In a hands-on profession, members are vulnerable to unfounded accusations of criminal behaviour. This cover provides access to legal helplines and generous levels of legal fees. As from 1st February 2018 this cover is provided for UK members - Please refer to BASRaT for details or www.graybrook.co.uk/basrat-members.